Offers arsenal of marketing tools for automated statistics, content marketing & many more. Deepen customer engagement and grow customer loyalty. Scan the code and find the product. 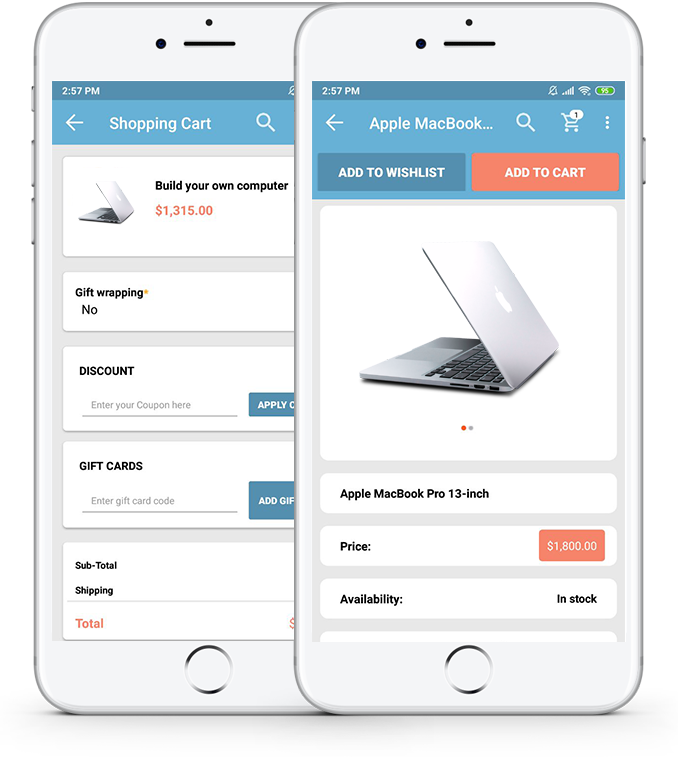 Slash your marketing cost and raise your sales using highly customized app notification. Turn shopping into a desirable experience and make sure they keep coming back for both physical and virtual store. Dive deep into the customer analytics assembled by Nop-App Get higher and understand the pattern, behavior and likes of your customer. Optimize your marketing strategy through our app and then, let your sales do the talking! 10.5.7. Back to the Home Page. 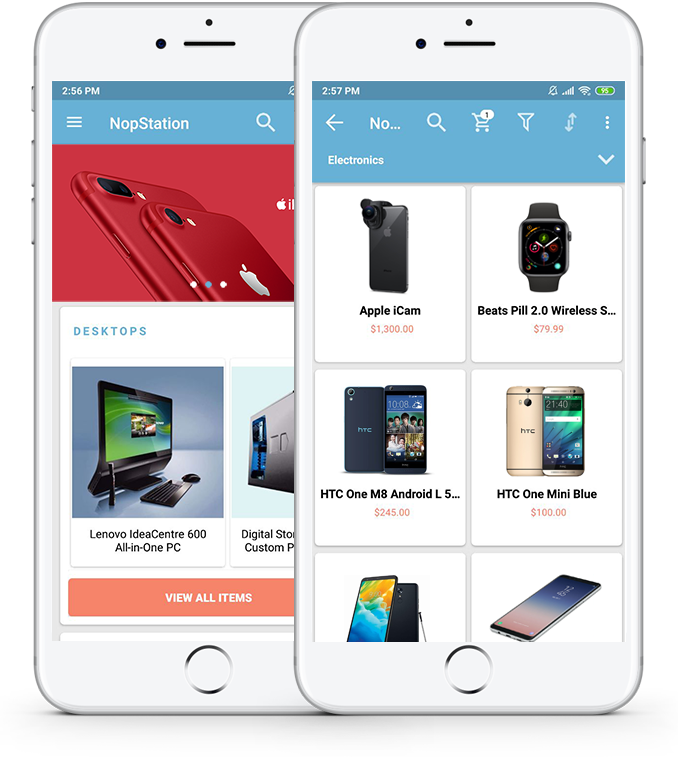 The highly customizes notification system of nop-app will ensure lower marketing cost and progressive customer engagement. 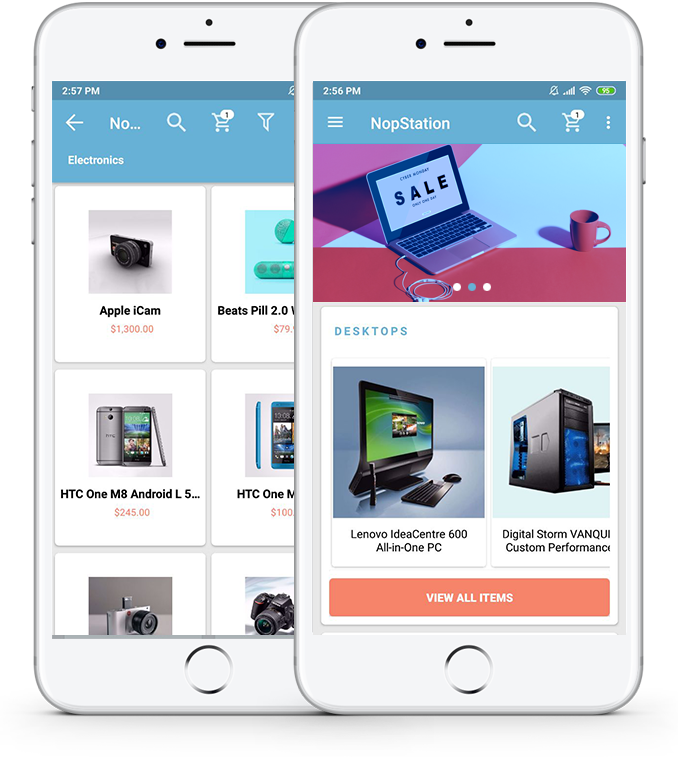 Second-to- none programmers, content developers and graphic designers – all team up to provide you with the app to go big in your market. Let the A-team make the A-pp for you! We care about our customers just like you do. We take ample time to listen to your feedbacks and come up with the perfect app for you. Does it include mobile app dedicated to store front for buyer or store owner (Admins) as well? Yes, the app is for nopCommerce store front. The app for store owners are yet to come. Do these apps use web view? No. Both android & iOS apps are native apps and we have used swift for iOS app. Can I get the source code of this app? What will I get in this price? How I can integrate this app with my store? The step is super simple. You only have to install our API plugin in your server for using these apps. If you find it hard. Don’t you worry we’ll help. How can I manage my products for my app? Products in the store will automatically get synced & if any changes made i.e. in price or want to hide a particular item that’ll change automatically after putting input in one place. Which nopCommerce version do you support? Currently we support version 4.0, 3.9, 3.8, 3.7 & 3.6. Apps also support the earlier versions. Do I get any nopCommerce version update? You will get it for an extra fee of $500. Can I see any demo? Can I use it in multiple domain? No that service is yet to come.